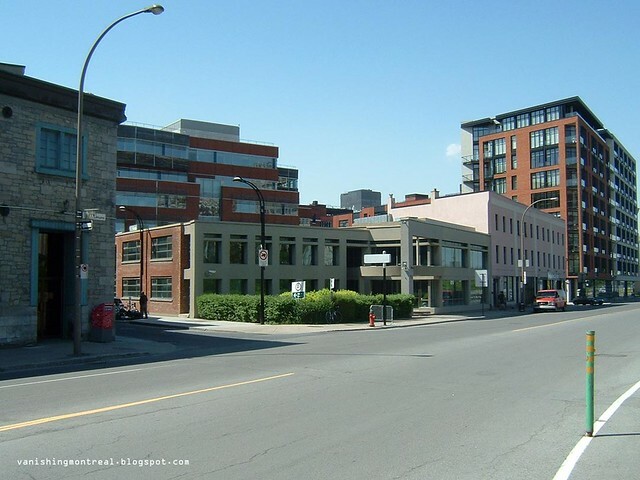 As mentioned before here at Vanishing Montreal back in August 2011 (link) the building at the corner of De La Commune and Prince will be demolished. I was skeptical about the old stone building being part of the new project but when the banners for Le Silhouette appeared around it I thought "oh no". 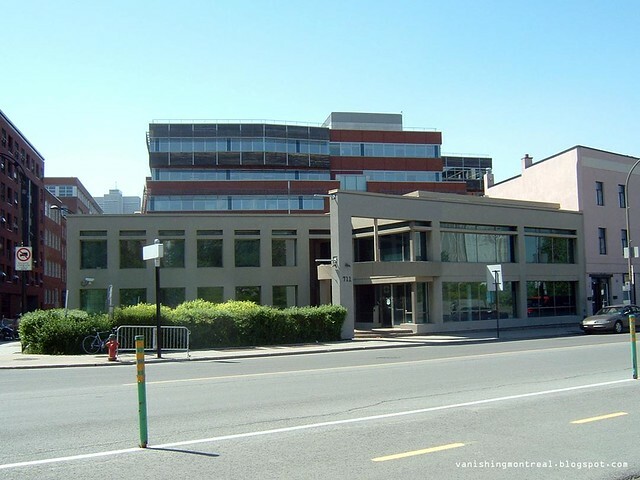 Well the old greystone building won't be demolished so skepticism is still intact. Phew. The banners on the old building are for the condo complex where the Nurun building is just across the street. I double checked the address for Le Silhouette and it's 711 which is the address for the building in the photo above and below. I already took photos of the Nurun building last summer as I was told then it would be demolished. So here's the update on the update. The banners below are for the Nurun building across the street as seen above. 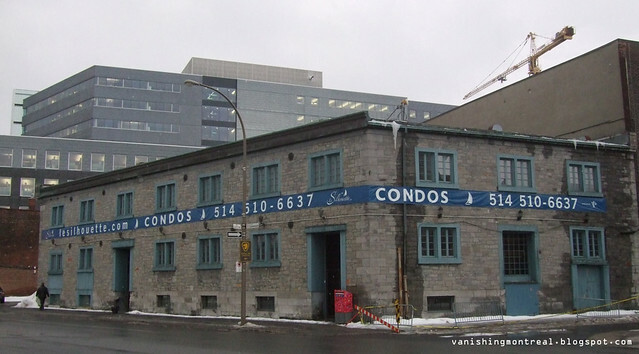 Does anyone know if the building at 695(pink, where Marche de la Commune is located)has historical preservation status and cannot be demoished as will 711 de la Commune for the new Le Silhouette condos?